completely tailor-made for the client, this new jet capsule version named 'royal version 001' offers 18 sqm of wide deck space, providing 9 springy seats. 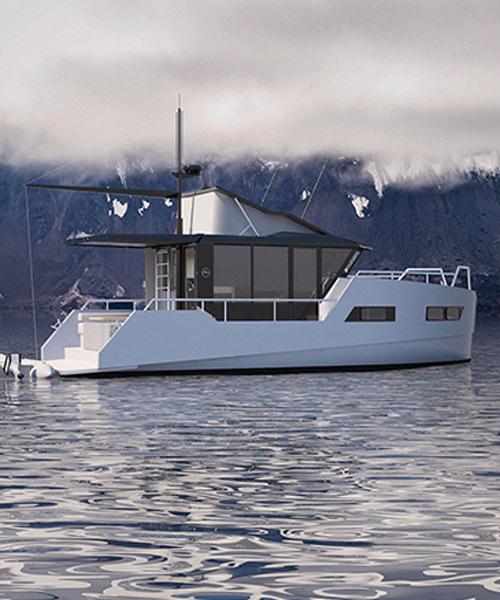 vik boats has developed a new eco-friendly boat that allows users to take a weekend trip on a single battery charge. 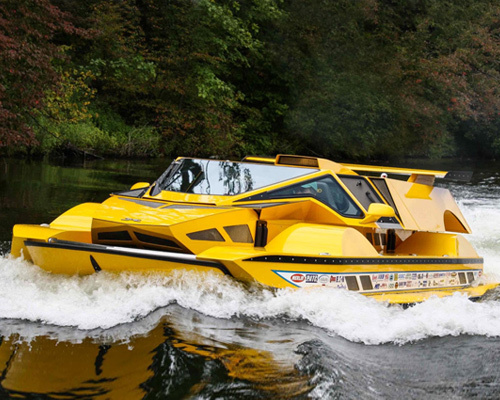 own a car/boat hybrid with the dobbertin hydrocar - fitted with a 762 hp engine - which is now up for auction without reserve. the propulsion device, which has been developed from a university project into a mass production, is worn as a backpack giving the user a hands-free experience as they glide through the water. in a bid to save the soccer team trapped in a northern thailand cave, elon musk has converted a falcon x rocket tube into a kid-sized submarine. according to the company, a water-route commute could cut travelling time in half in some cases, meanwhile the bubble (as it is dubbed) is 100% electric. borromeo de silva was drawn to the idea of the luxury canoe being sufficient on its own, that doesn’t exist merely to solve a problem but is justified by its visual proposition. the ROBOAT project investigates urban waterways monitoring the environment, providing transportation and enabling self-assembling bridges and other urban infrastructures. 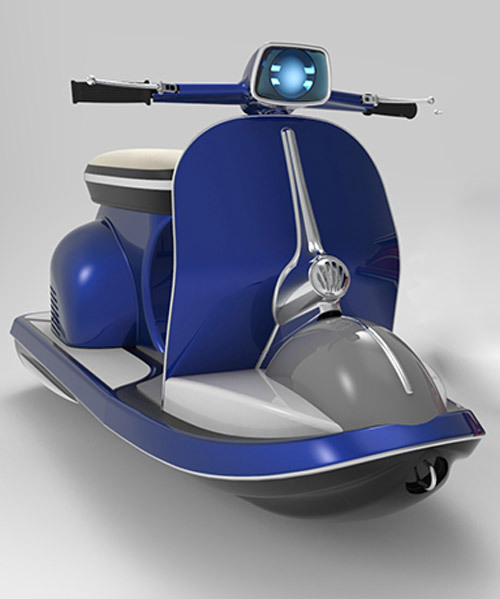 modelled after airplanes, hoverstar's aquajet H2 is a winged diver propulsion vehicle for reducing hydrodynamic drag while maintaining balance. 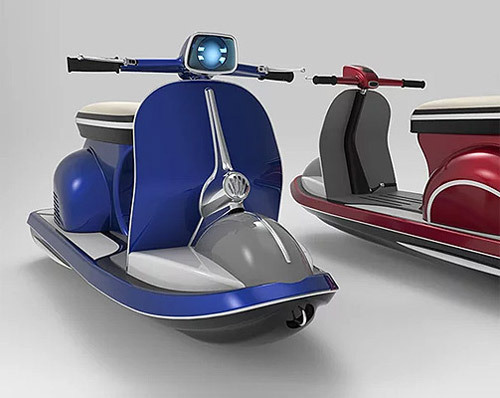 designed to smoothly transition from land to water, the biski is an amphibious motorcycle that changes function at the push of a button. 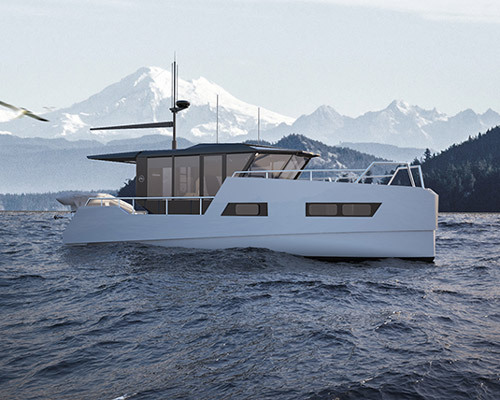 for the paris boat show 2017, the BENETEAU and peugeot ‘sea drive’ concept envisions what if the french automotive brand tried their hand at yacht design. replicating the cycling experience on water, the manta5 hydrofoil bike and its silent, pedal-electric 400-W motor is suitable on lakes, rivers and oceans. 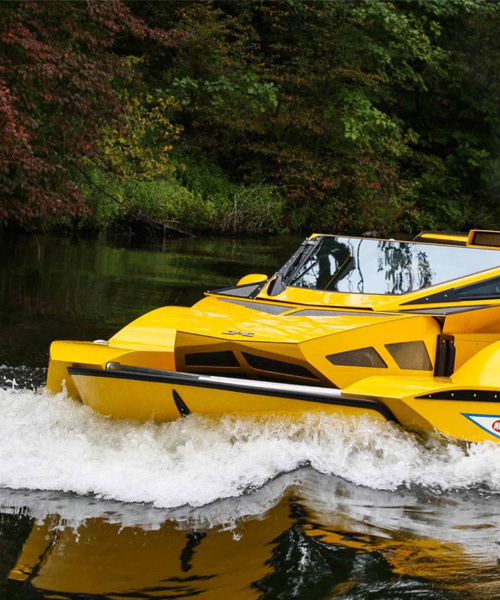 like having two boats in one, the sealver waveboat 525 allows water enthusiasts to dock their jet-ski inside and use it as the vessel's powertrain. U-boat worx's cruise 5-1700 series is the world's deepest diving five-person submarine. SEAir has created sensation during the recent cannes yachting festival, featuring an exclusive art boat created by louis-marie de castelbajac. the superfly GT 42 is a superboat that combinines outstanding driving and racing performance with exceptional family comfort. 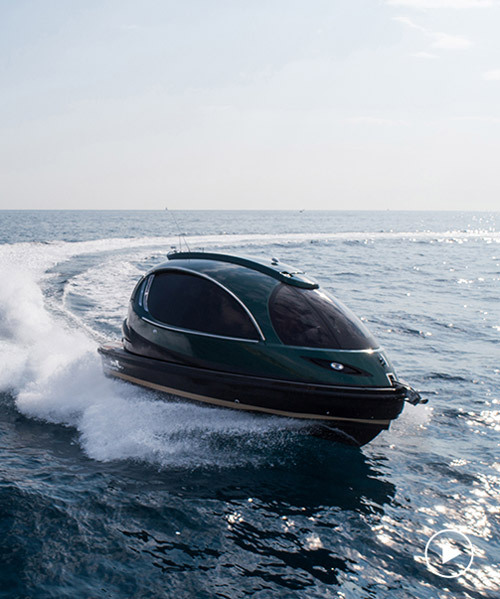 named the alpha centauri, this sharp vessel combines the luxury of a super-yacht with the speed of a hydroplane race-boat. 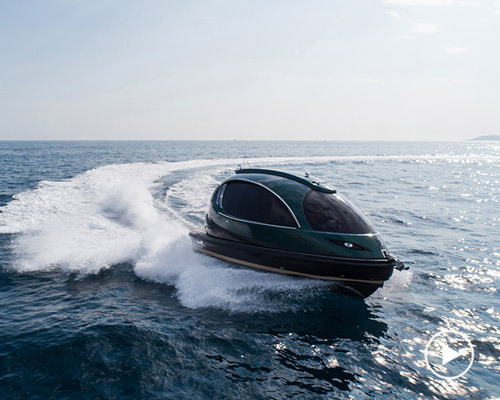 the wally tender X's three 6-cylinder engines power the day cruiser boat with 1200 horsepower, accelerating it to a top speed of 111 km/h (69 mph). the MOKE amphibie by lazareth lets people drive on land, or water, in the 1960's beach buggy. pirelli is one of the largest car tire manufacturers in the world, and from time to time the milanese-company likes to think big and create diffferent products. taking the batteries of BMW i3s from the road to the water, torqeedo have equipped its fast-racing ‘deep blue’ speed boats with high-capacity electric technology that produces 160 hp. the alen 45 is a handcrafted, minimalist day boat veiled in teak wood from turkish shipyard alen yacht. energy autonomous and ready for water taxi services, the soelcat 12 reduces all disturbing sound and CO2 emissions in harbours, lagoons and oceans.